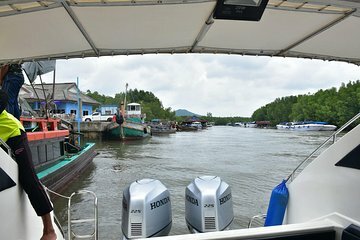 Traveling between Thailand's islands in the Andaman Sea can be hassle but not with this convenient transfer between Chong Lad Pier on Koh Yao Yai and Phuket's Bang Rong Pier. Book this shared speedboat ride as a 1-way or round-trip journey. Speed from island to island with no stops along the way. You can easily arrange independent taxi transport to take you from the pier to the next destination on your itinerary.